You may be moving across the country, spending the winter in a warmer climate, or buying a classic collectible. In situations such as these, sometimes hiring an auto transport company is the best option. Shipping your car can save you time and energy. If you are an individual searching for a car shipping company, you probably have many questions regarding car transport rates. Since car transport rates are based on many variables, these prices are not fixed expenses. Your car transport price will change depending on a variety of factors. In this post, we will cover what affects the price of an auto transport service and how much it usually costs. 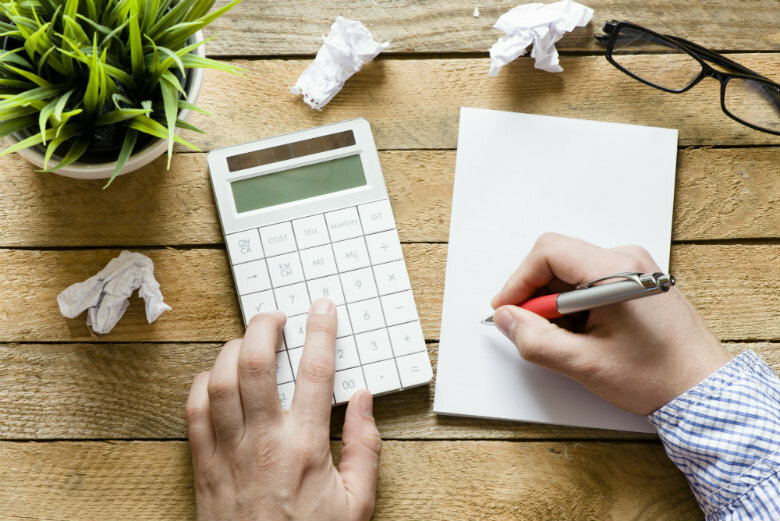 Let’s first look at auto transport calculators, by defining what they are and how they can help you. Auto Shipping Rates Calculator: What Is It? An auto shipping rates calculator is an online tool used to estimate how much it would cost you to ship your vehicle from one location to another. You will need to fill in information concerning your vehicle, such as make and model. In addition, you must add details about where your car is being shipped to and from. The quote produced by this calculator is non-binding, so by no means are you required to use that company. In addition, the quoted car transport price from the online calculator is subject to change, unless you lock in your quote with a representative. You will not find the same calculators across the car shipping industry. Many companies’ websites contain rate calculators that have five or more fields that require personal information. Some even require that you put in an email address to which the company will send your quote. National Dispatch’s quote calculator is very easy to use. It only requires four simple fields: vehicle make, vehicle model, pickup location, and delivery location (see below). Upon entering in this information, you will receive an instant car transport rate. Unlike other competitors, no personal information is ever required to receive a free price quote. We are one of the few auto transport companies that offer a truly instant car shipping quote, in seconds rather than minutes. Once you enter in the above information, you will be redirected to the quote page, where you can see multiple shipping options at one time. You may need to change the delivery method, condition of the vehicle, and shipping method for a more accurate estimate. You can do that on this screen. Auto Shipping Rates Calculator: How Can You Use It? These online car shipping rate calculators provide a general estimate of what it would cost you to ship your vehicle. Due to the number of variables that are involved in the development of the price, you can only rely on this instrument so much. If you intend on shipping your vehicle, use the calculator to get an idea of how much it will cost you. Then, you can contact an auto transport specialist with the company to double-check pricing and lock in a quote. Check out National Dispatch’s free, instant online car shipping calculator now by going to https://www.nationaldispatch.com/ or call us at 800-321-2051 to speak with an auto transport representative. There are many different variables that factor into a car transport rate. Before we get into pricing to ship your car across the country, it is crucial to look at these factors. It is important to know how a customized quote is developed to fit your unique needs. Size and type of the vehicle. The size of your car is going to play a considerable part into how much it will cost to ship it. The pricing to ship a Toyota Prius will differ in comparison to a GMC Yukon. This is because larger vehicles take up much more space on an auto transport carrier. In addition, larger cars weigh more than smaller cars. Vehicles that fall under this category include full-size SUVs, Trucks, and Vans. Distance. Obviously, a major factor in the transport of your car will be how far the driver must take it. The longer the distance between the pickup location and the drop-off destination, the more mileage on the transport truck. Not only do longer distances mean more resources (i.e. gas), but it also means more time that the truck driver must spend hauling your vehicle to its destination. Proximity to main route. One important point to consider is “how far off the beaten path” the driver must go. In other words, pickup and drop-off locations directly off the main highways are easily accessible to drivers. Is the location in an urban or rural setting? The driver can typically maneuver the truck more easily in the city, as the countryside tends to be the home to more narrow back streets. What about mountainous settings? If the vehicle needs to be picked up or dropped off at the peak of a mountain, these conditions could be factored into the price. Mountain roads are steep and narrow. Transport trucks move slowly up inclines, and you would want the driver to take extra precautions when navigating these roads. Delivery method. There are two main transport services that you can choose from, which are open auto transport or enclosed auto transport. Although open auto transport is the most popular form of vehicle transport, it depends upon personal preference, along with vehicle type, on which delivery method you choose. In open auto transport, the car will be shipped in an open-air carrier along with up to eight other vehicles. This is the cheaper option in comparison to enclosed auto transport. In enclosed auto transport, the car will be shipped in a confined trailer, protecting the vehicle from dirt, dust, grime, and elements of the road. This option is popular with those who own classic cars or expensive luxury models. Individuals also choose enclosed auto transport in the winter months to keep their car out of the harsh weather. Condition of the vehicle. Is the vehicle operable? If not, more time and resources, such as manpower and equipment, are required to get the car on and off the transport carrier. The use of resources is an added expense. Operable vehicles can simply be driven onto the carrier. On the other hand, inoperable vehicles may require the assistance of heavy machinery, such as forklifts. This all depends on the state of the vehicle. Can you roll, brake, and steer the car? These are all crucial functions for loading purposes. Shipping options. There are several shipping options when it comes to transporting your car. Auto transport rates will vary depending on how soon you need your vehicle. National Dispatch offers three shipping options to meet everyone’s needs. Increasing in price, we offer economic, priority, and guaranteed shipping. Economic shipping is the cheapest of the three options. The car will be picked up within fourteen days, but delivery time will depend upon the route. In priority shipping, one to three days are allotted for pick-up of the vehicle and another one to six days for delivery. The guaranteed shipping option is for individuals who need their car as soon as possible. Therefore, with this option, you are given an exact pick-up date within a few days. Time of year. The time of the year has an impact on vehicle shipping rates. Comparing the car industry to the hotel industry, pricing varies depending upon the season. Car transport prices may be higher in the summer months, because there is a higher demand for auto transport services. On the other hand, the winter months tend to be the slowest season. However, there are the challenges of the holiday seasons and bad winter weather during this part of the year. Learn more information about how the weather affects car shipping. Economy. The condition of the economy slightly influences automobile shipping rates. The auto transport truck that is carrying your car to its destination requires gas. If gas and diesel prices were to skyrocket, this would have an impact on the price you pay to ship your car. If you were to drive the vehicle, yourself, you would be responsible for the fuel expenses. Instead, the auto transport company must pay for the cost of fuel. It is only fair. Now, you are well-informed about the variables that comprise a car transport rate. As you have read, rates vary depending on many factors. You can expect to pay anywhere from a few hundred dollars to up into the thousand dollar range. Let’s look at the ballpark of pricing you can expect to pay to ship your car from Point A to Point B. 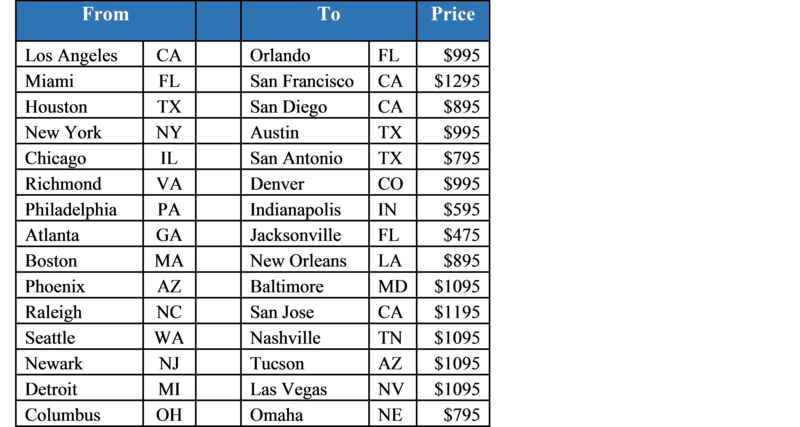 The Pricing Chart below outlines some of the popular transport routes. On this chart, you can find routes moving just one state away (Georgia to Florida), or routes from East coast to West coast (California to Florida). You may not find your exact city and state on this chart, as these are only the most popular. We recommend that you go to the instant quote calculator on our website. Here, you can enter in the zipcodes of your pickup location and delivery location. Remember, the quoted prices, in this table, are subject to change. We will do our best to keep the prices updated with changes in the industry. However, for the most up-to-date information on rates, go to our website at https://www.nationaldispatch.com/. There are many factors that you have no control over in the transport of your vehicle, such as the size of the car, condition of the vehicle, and locations for pick-up and delivery. If you are moving for a new job, it is not up to you to decide when you move. Therefore, bypassing the busy season of the car shipping industry would be out of the question. However, there are some components that you can control to budget effectively. We are not going to look at the elements of auto shipping that cannot be changed. Instead, let’s focus on what you can do to save an extra buck. How soon do you really need your car? If you do not need your car to picked up and delivered as soon as possible, do not waste the money on an expedited shipping option. Realistically, consider how soon you need your vehicle. Take into account the estimated pick-up and delivery dates. Research all of the company’s shipping options to find the one that best fits your needs. Does your car need protection from the elements? Is your car the only one of its kind? A classic? A luxury model with an expensive price tag? You may want to consider shipping your vehicle using enclosed auto transport to protect it from the weather and effects of the road. However, if you believe that you can bypass this method, go for the less expensive option on an open auto carrier. Is it okay to haul your car with other vehicles? Multi-car carriers are less expensive than single-car carriers. Multi-car transport trucks can haul multiple cars at one time across a long distance. On the contrary, single-car transport trucks are only capable of hauling one vehicle per trip. Is top-loading important to you? When shipping their car, some individuals choose a “top load” option. This means that their car is guaranteed to be positioned on the top of a two-level transport carrier. This can be an additional price. Some people choose this option to avoid the chance of leaks from a vehicle on the top row to their vehicle on the bottom row. Others choose this option, because road debris are more likely to occur for a car on the bottom. Learn more about how to save on moving costs. An auto shipping rates calculator can help you determine a baseline pricing for car transport rates. 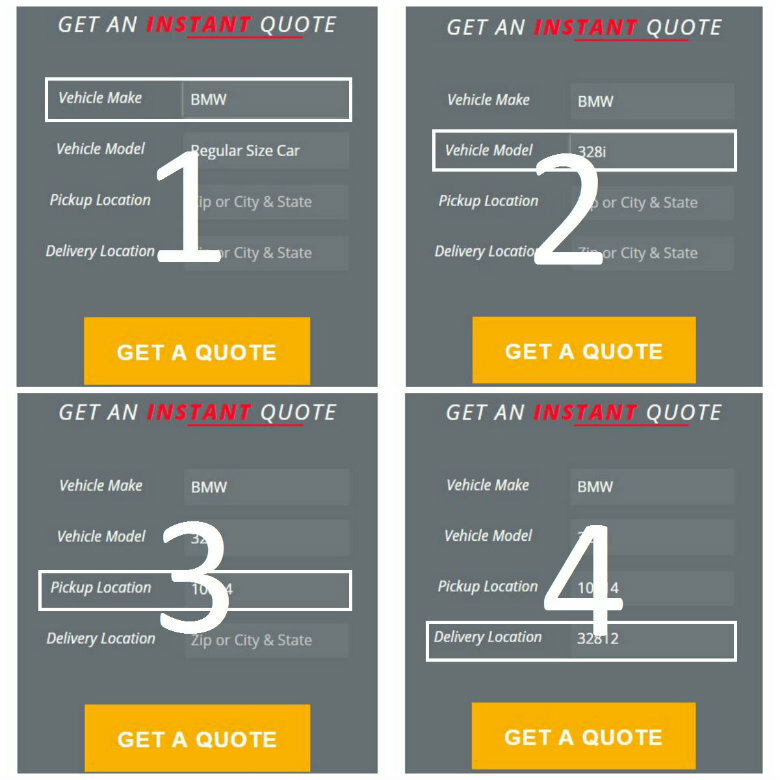 By filling in just 4 simple fields, you will receive your vehicle shipping quote instantly! This price is determined by a number of factors: size and type of vehicle, distance, proximity to main route, delivery method, condition of vehicle, shipping options, time of year, and economy. Remember that some services can be chosen for a cheaper shipping option. To receive the most accurate estimate for car shipping, please go to https://www.nationaldispatch.com/ and use our instant car transport rate calculator at the top of the page anytime 24/7 or call us at 800-321-2051 during regular business hours.